The male grooming market is now estimated at $3.5 million, and growing. 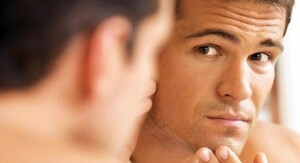 This means that more men are concentrating on their appearance more than ever before. Data released by the American Association of Plastic Surgeons (ASPS) revealed that cosmetic procedures in men rose 2 percent last year compared to 2009, including 14% growth in facelifts and 7 percent in liposuction. Last year, men had 14 percent more facelifts than in 2011. But also some unusual procedures showed significant growth in the male sector. For example, enlargement of the calves showed a 62 percent increase in cosmetic surgery. These figures still lag behind the peak that plastic surgery had in 2007, just before the outbreak of the financial crisis. They do show a new trend among men between 40 and 54, who were 48 percent of the male cosmetic surgeries performed throughout the year, followed by more than 55. Male breast reduction is for men who struggle with excess fat and breast tissue that cannot be reduced with diet and exercise, but it must be surgically removed. The doctor uses the techniques of liposuction and excision to remove excess tissue. Pectoral implants are designed for men wanting to improve the shape, size, and contour of the breast, but have been unable to achieve their goals through weightlifting. Calf augmentation (implants in the calf) is an option for patients who want to improve the shape of the leg. The surgery is typically used for cosmetic improvement or to correct calf malformations. Liposuction is a method for slimming specific body areas. The surgery is ideal for patients who exercise and eat a healthy diet but still struggling to eradicate fat deposits in certain areas. By restructuring the deeper tissues of the face, cosmetic surgery can restore a youthful appearance. Second, a facelift will also reduce wrinkles and sagging skin folds. Facelifts often give the look of more than 10 years younger. There are many different reasons why men are seeking out cosmetic surgery procedures. From simple needed boosts in self esteem, to the infamous “midlife crisis,” to wanting to gain any possible edge while trying to climb the corporate ladder, all men have very different reasons why they are getting these procedures done. Perhaps the most common reason for the influx of men opting for cosmetic procedures is that women are expecting men to take better care of themselves. No longer will a shave and a splash of deodorant suffice. In a world where self-image is crucial, cosmetic surgery simply means we can achieve a better look much faster. Nicole is a freelance writer who enjoys writing about everything to do with the health and beauty industry. She recommends www.robertgoldman.com.au as a great cosmetic surgeon.